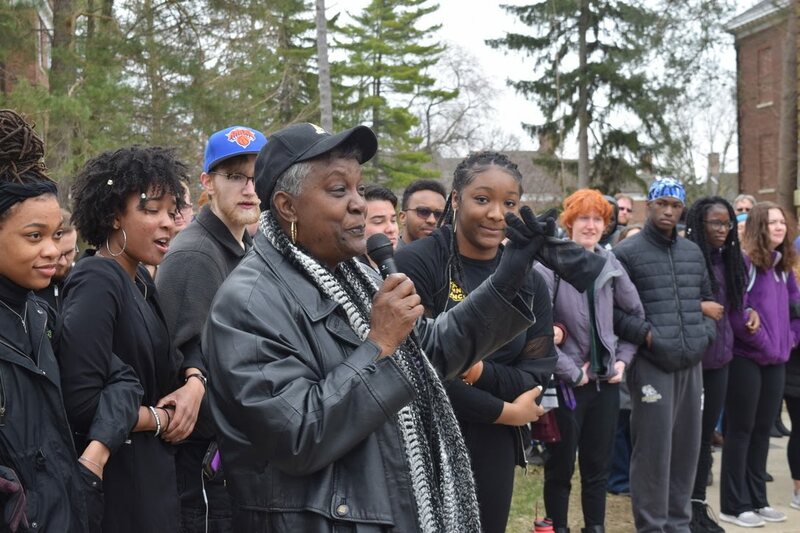 On April 11, well over 100 campus and community members gathered in front of Albion College’s campus rock to hold a demonstration meant to unite the college community. 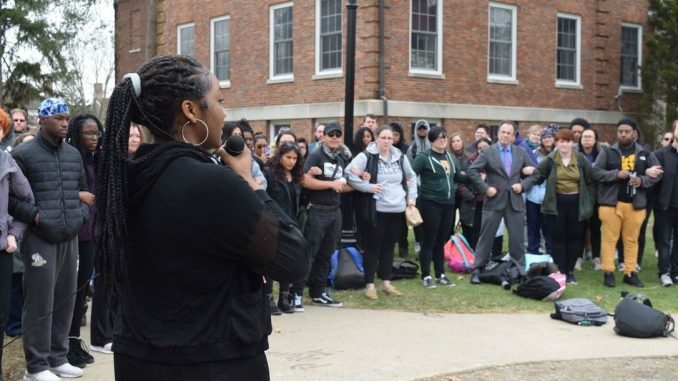 The peaceful demonstration arose after two objects were found on campus that sparked concerns of racism towards black and Asian Albion students. 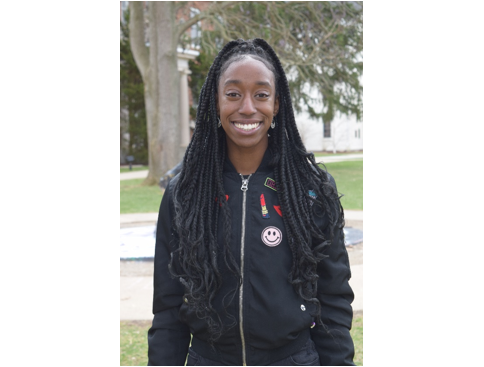 On Friday, April 5, a cardboard box with the phrase “KKK” written on it was found propped outside a male first-year dormitory room. The phrase is commonly associated as the acronym for the Ku Klux Klan, an American white supremacist group grounded on anti-black, anti-Jewish and anti-immigrant beliefs. At least one student within the room the box was propped by was black. Per an Albion College email, the same student had found racist words written on his whiteboard outside his dorm room earlier in the semester. Campus Safety and Albion Public Safety were notified and are investigating both events. That same day, a sweatshirt with Albion’s Asian Awareness Group’s logo was found spray-painted over in the Umbrella House. Only the logo had spray paint on it. Many students took to social media to spread awareness of the objects, calling the markings on them racist. 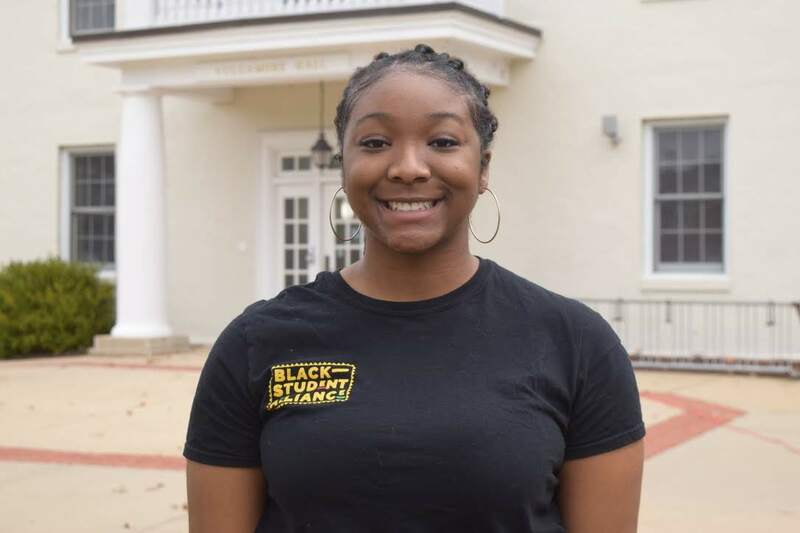 Six days after the two events, Asian Awareness Group, Black Student Alliance, the Interfraternity Council, Umbrella House and Greek life held the unity demonstration on the campus quad. 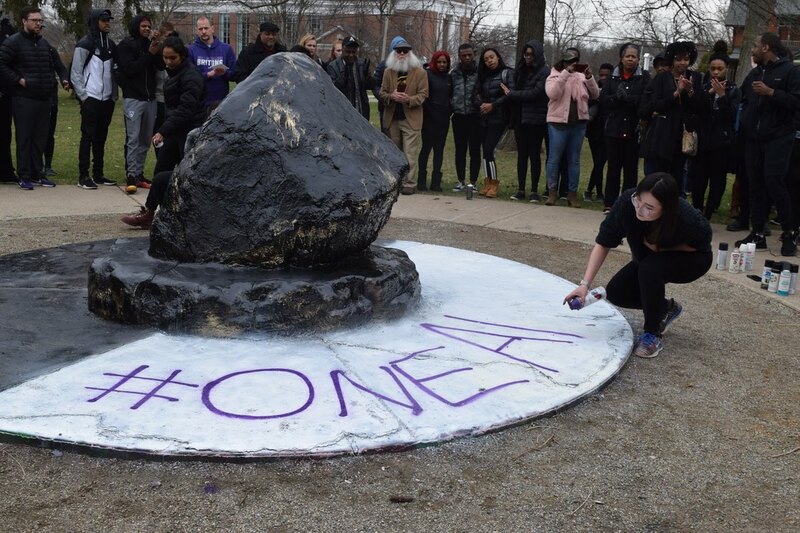 Campus and community members took turns spray-painting the rock, labeling it with a “ONEALBION” hashtag. Some members also spoke on the events and how to move forward. Some demonstration participants shared their thoughts on the event. Photo by Peach Norman Owen. 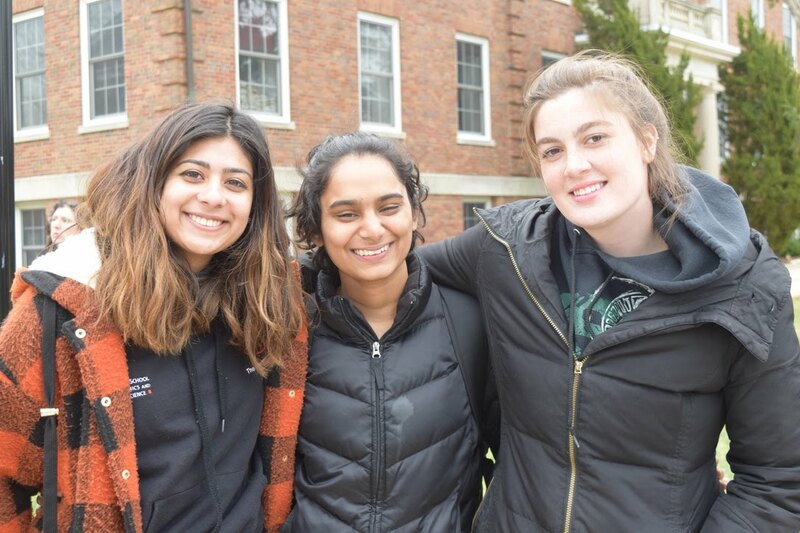 UPDATE: 4/16/2019, 9:22 a.m.: On Monday, April 15, Campus Safety emailed all students, stating that the same student who reported a box reading “KKK” outside his door reported a second event. Campus Safety said he found racist language written on the whiteboard on the door of his dorm room. The student responsible for the language was identified and removed from campus. It is as-yet unclear whether the student was expelled or if the student was responsible for previous reported incidents. Beau Brockett Jr. contributed to this article.